Scheduled for an update in 2008, the '07 version carries over with a new S Titanium Edition to keep things interesting. 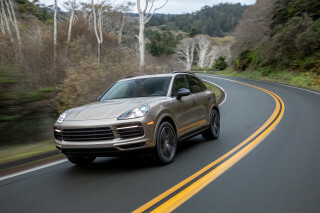 Porsche's first-ever SUV shares its chassis and certain systems with the Volkswagen Touareg but has its own unique Porsche styling cues, especially at the front end. 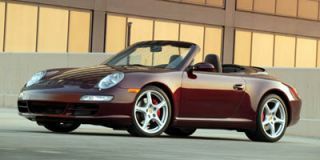 The base model comes powered by a 3.4 liter V-6 engine, while the S version includes a 340-horsepower, 4.5-liter V-8. The top Turbo model offers a twin-turbocharged V-8 that generates 450 horsepower. There's a choice of a five-speed manual or six-speed automatic transmissions. High-capacity four-wheel disc brakes and stability and traction control are included across the line. 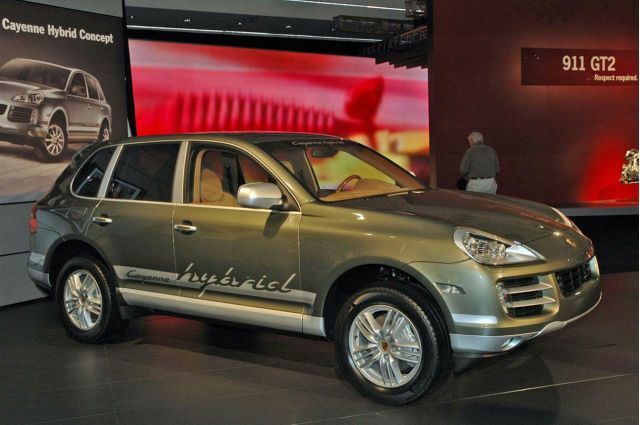 The Cayenne has a max tow rating of 7,716 pounds. A Drive-Off Assistant system, available on manual-transmission versions, helps the driver start off on steep grades without having to finesse the gas and clutch pedals.